The Power Grid Corporation of India Limited, is an Indian state-owned electric utilities company headquartered in Gurgaon, India. POWERGRID transmits about 50% of the total power generated in India on its transmission network. 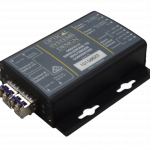 OSD developed the OSD2041PSS for the supply of the industrial hardened media converters which have been installed across hundreds of sites in Power Grid’s national network. A key requirement of the project was the media converter must meet Electrical Fast Transient (Level 4) as per IEC 61000-4-4, Damped Oscillatory (1 MHz and 100 KHz) (level 3) as per IEC 61000-4-18 AC Voltage Dips & Interruption/Variation (level 4) as per IEC 61000-4-11, Electrostatic Discharge (Level 4) Power Frequency Magnetic Field (level 4) as per IEC 61000-4-8, and Ripple on DC Power Supply (level 4) as per IEC 61000-4-17. Power Grid employed external test auditors to ensure that the OSD2041PSS meet their requirements.